To Dog With Love: Join the #RoverChat Twitter Party Tonight, Oct. 3! Join the #RoverChat Twitter Party Tonight, Oct. 3! Tonight's the night for the Rover.com Twitter party! Whether you are looking for a pet sitter or want to learn about expanding your pet-sitting business, here's the chance to chat with some of the experts from Rover.com. 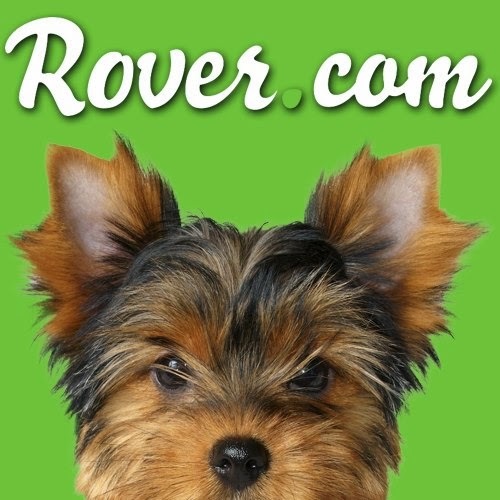 Get answers to your questions and learn about some of Rover's special programs, like Sit a Dog, Save a Life that allows pet owners and pet sitters to help raise money for local dogs in need. All participants in the #RoverChat will be entered into a drawing for the chance win these prizes! Have a great twitter pawty. Have a tremendous Thursday.